The support we receive from corporate partners is critical to the sustainability of our service offering and the overall success of our local athletes. 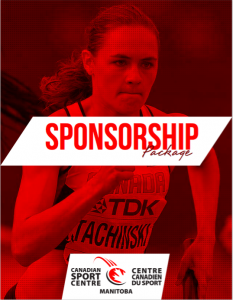 Your support of the Canadian Sport Centre Manitoba directly helps to ensure that our elite athletes receive the highest level of coaching and training, nutrition, equipment, sport science, sport medicine and more, all of which contributes to their success. It is becoming more and more evident how sport science contributions are a necessity to reach the highest levels of human performance. Read our sponsorship package for information on how to support CSCM. Benefits associated with corporate support may include a tax receipt, corporate visibility or experiential opportunities. Benefits are dependent on the size of the gift and are by Canada Revenue Agency regulations.